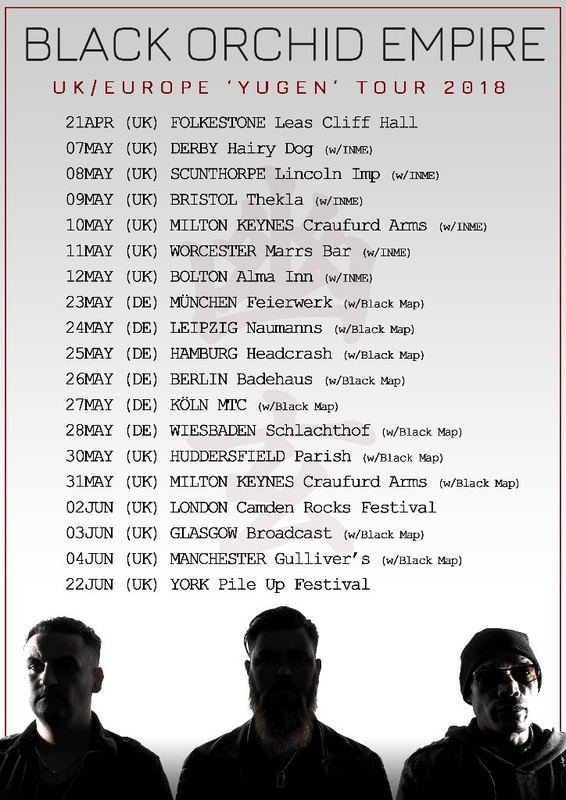 London rockers BLACK ORCHID EMPIRE have announced live dates throughout May and June which sees them play six shows opening for INME in the UK, followed by a ten-date run throughout Germany and the UK as main support for Black Map. The band recently announced that they have signed an international deal with Long Branch Records. The three-piece are the latest addition to the label's constantly growing roster, and will release their new single 'Celebrity Summer' on 6 April 2018. Having played alongside heavyweights such as Biffy Clyro, Editors and Skunk Anansieand with a dedicated, growing fanbase, BLACK ORCHID EMPIRE demand your attention.